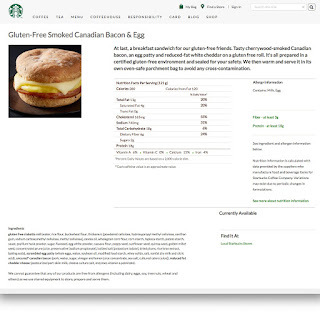 That's right folks the day we have all been waiting for Starbucks finally has a warm Gluten-Free breakfast sandwich on their menu. I noticed it started to appear on the menu in Northern California the week of March 20th, 2017. 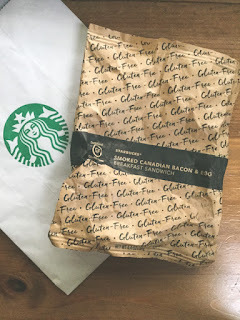 I'm not sure if has rolled out to all their stores this same week but certainly ask your local Starbucks Partner for more info at your location. If you are celiac or extremely allergic to gluten, I would just like to caution you that there is likely cross contamination. Some stores are training their employees about the danger of cross contamination but it isn't something they all do. The location I went to I mentioned to the employee the potential risks of using the same tongs on the Gluten free sandwiches and she was unaware how it could affect someone. My suggestion is when you order (preferably in person and inside the store) tell them your concerns and ask them to get a clean tong utensil to take your gluten free sandwich out of the warmer. And stand right there and watch them so you can be sure they follow your directions, don't be afraid to speak up for yourself if they goof up, but be patient and kind to ask them to remake it. I'm not entirely sure if this is supposed to be warmed in its packaging so it is possible the location I visited did it wrong by removing it from the wrapper. (FYI Starbucks doesn't have a dedicated gluten-free warming oven either). 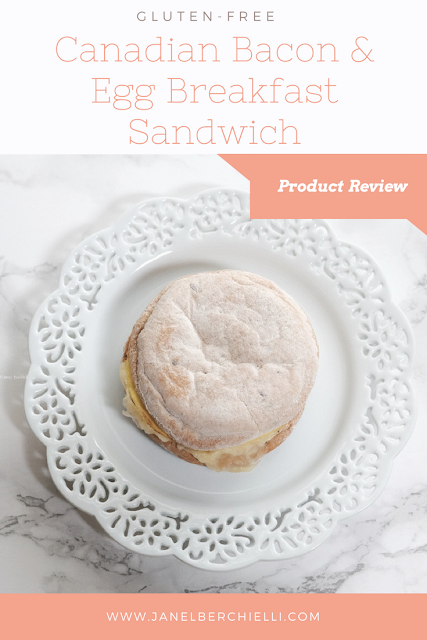 This gluten-free sandwich is similar shape and size to the other breakfast sandwiches offered at Starbucks. At first I had to double check to make sure I was given the right one because I was surprised that it was as big as pictured. It is an egg, Canadian bacon and cheese sandwich on a roll, the official title is Gluten-Free Smoked Canadian Bacon & Egg. It was delicious and I loved everything about it. 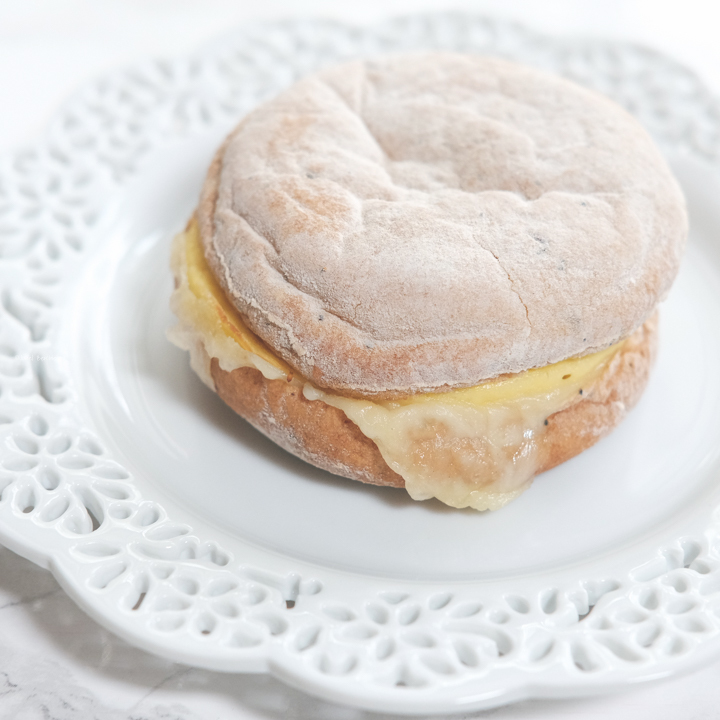 The egg and Canadian bacon are not over cooked and cheese brings it all together nicely. Sometimes gluten free rolls can have an odd taste but this one is wonderful. The roll is fluffy and soft and makes the perfect breakfast sandwich. I'm drooling over here just thinking about eating one again. I am so excited that there is finally a breakfast sandwich option that is Gluten-free at Starbucks. I sure hope this one permanently stays on their menu and is not a seasonal item. FYI, once people get word of this sandwich and taste it for themselves, it will likely be a sold out item everyday (just like the Sous Vide Egg Bites ).